The new E-PACE is the first compact SUV from Jaguar. Thanks again to everyone that came out despite the snow! 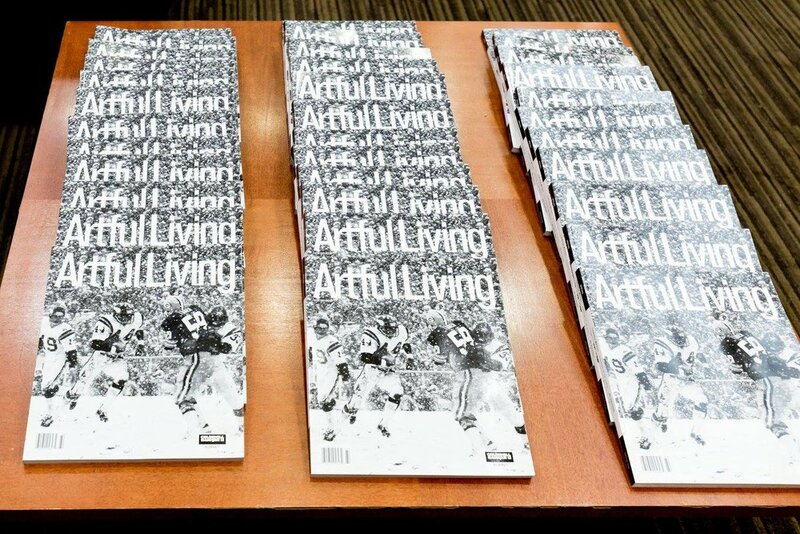 We partnered with our friends from Artful Living Magazine and had an evening of hors d'oeuvres provided by CRAVE Catering and wine + beer and learned all about this exciting new Jaguar. 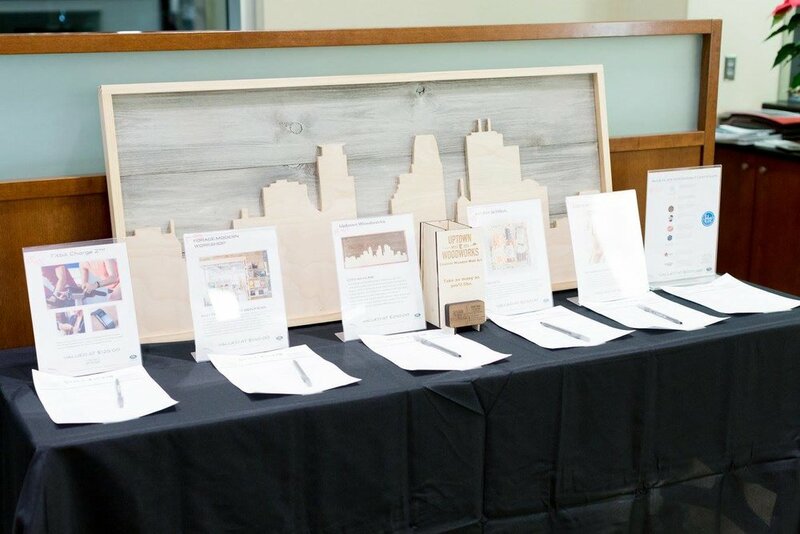 There was a silent auction with all proceeds benefiting Still Kickin. MartinPatrick 3 gift card | Hotel Landing luxurious staycation with the use of a Jaguar XJ | Brightwater, Clothing and Gear Parajumpers officialpage coat | Minnesota Twins tickets (Champions Club) | Fitbit | NFL Experience | Golden Valley Country Club round of 4 for golf! Still Kickin started with a t-shirt. The message on that green t-shirt became a motto of sorts for Aaron and his family — including his wife, Nora — during his three years of cancer treatment. Even random strangers on the internet were adopting the Still Kickin mantra (proof that not all online strangers are trolls). Aaron had big plans to turn his Still Kickin t-shirt into something greater. Something that would help others. But cancer loves interfering with big plans. After her husband's death, Nora teamed up with her friend Lindsay, printed a few dozen copies of Aaron's favorite shirt, sold them like hotcakes and donated the proceeds to another family in need. Guests were able to purchase their own Still Kickin' gear at the event! A photo-booth experience was created by Selfie and Co. and guests participated in live, fashion illustrations by local artist Claire Ward with a portion of the proceeds to benefit Still Kickin.